Central Selection Board (CSB) Bodoland Territorial Council (BTC). 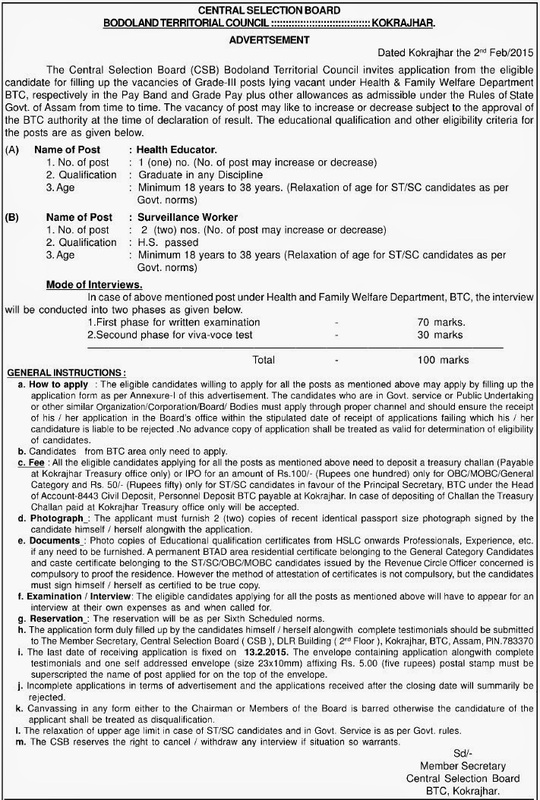 The Central Selection Board (CSB) Bodoland Territorial Council (BTC) invites eligible candidates for filling up of following Grade-III posts under the Health & Family Welfare Department in the BTC area in the Pay Band and Grade Pay plus other allowances as admissible under the Rules of state Govt of Assam from time to time. The vacancy of post may like to increase or decrease subject to the approval of the BTC authority at the time of declaration of result.